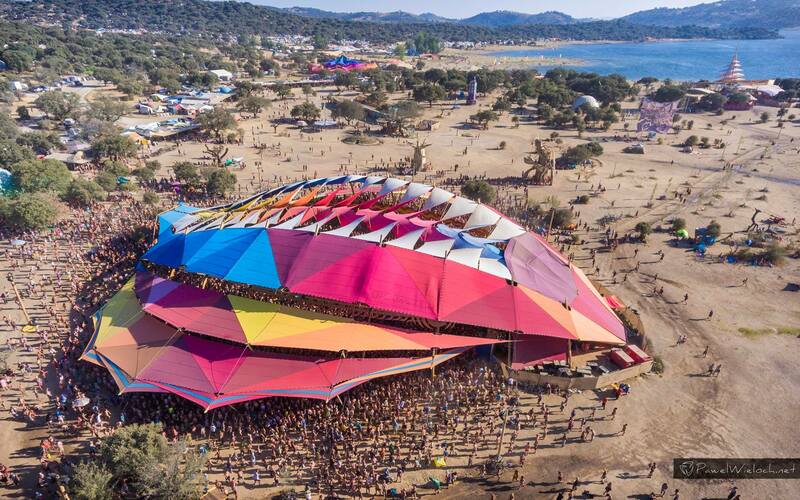 Every two years Portugal is home to one of the most eclectic and collaborative festival experiences on the planet, Boom Festival. In it, artists gather from all over to sculpt, paint and perform with others who are drawn to this creative mecca. 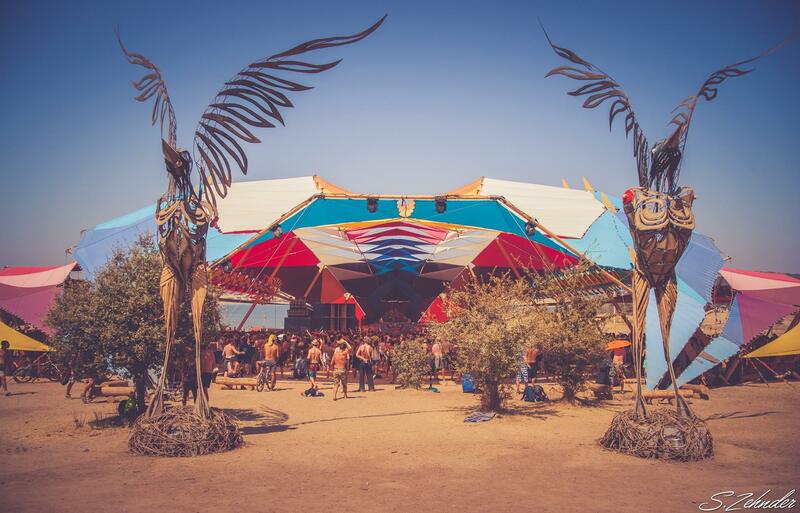 In the past three Booms we’ve built our share of artistic stages including the Groovy Beach, the Dance Temple and the Alchemy Circle. 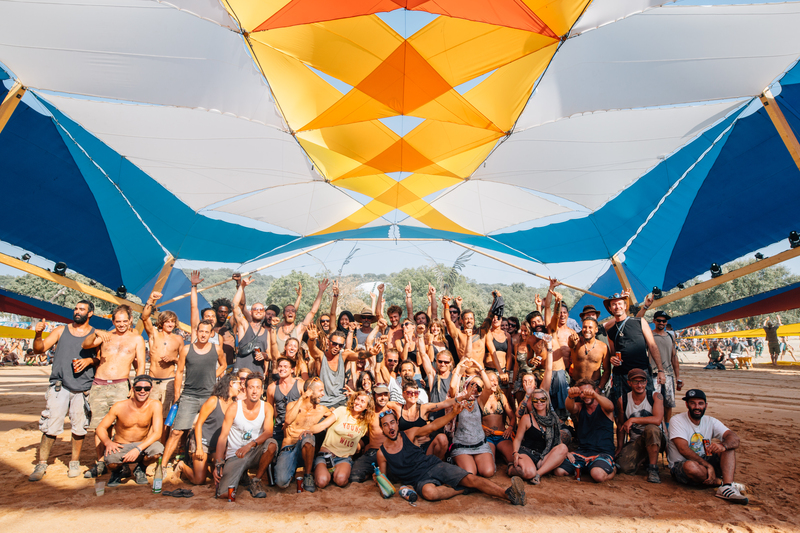 This year we’re pleased to unveil our newest and largest structure to date, the Boom Dance Temple; a collaborative piece built with our friends at Vita Motus. The sheer size of the structure required engineering techniques and architectural prowess we’ve yet to roll out on prior projects so it’s a true privilege to kick it up a notch in authentic Do LaB fashion. Along with the obstacles to scale the project came with interesting challenges that can only surface when collaborating with unfamiliar faces in a far off land. Our lead builder and co-founder Josh Flemming took some time to reflect on the build to share a bit on the challenges faced, the victories achieved and the inspiration behind the structure’s design. Staying true to ours ethos, the project was also fabricated over a 4 to 5 month span in Portugal using only locally sourced materials. To accomplish the task, Do LaB used a new material for the first time called “Vigas”, better known as glued laminated timber or glulam. “It’s an engineered lumber” Josh explained. “And it allows us to make great spans with one piece of timber without too many connections. They worked amazingly well.” Probably safe to say you can expect to see more glulam as our structures grow. With nearly 10 months spent planning the project, getting all the necessary materials onsite before the build teams arrived, but putting it all together presented another challenge: the tumultuous heat. “Most days are around 100 degrees and it’s up to 115 on the worst days”, Josh described. “When it’s that hot, we switch over to working all-night shifts and try to sleep in the shade during the daytime. 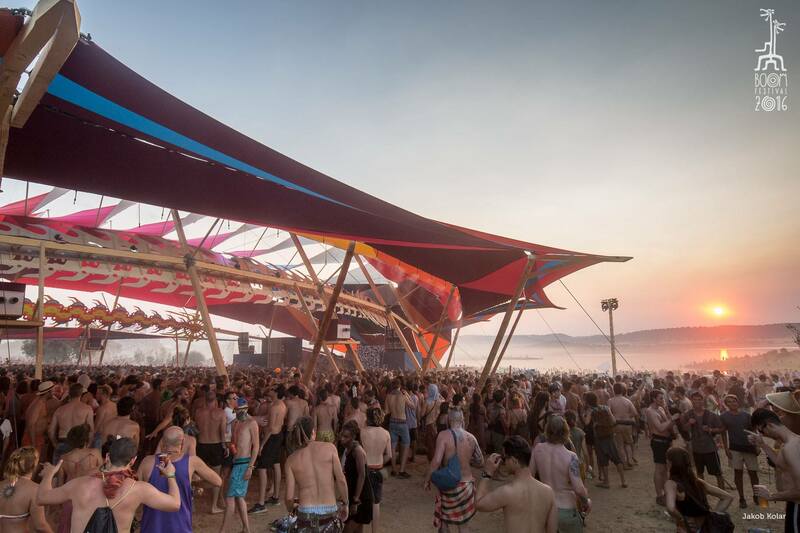 It’s just too hot to focus on anything out there.” With conditions like these the structure was indubitably a different sort of build—not just for the sheer size of the structure, but because so much had to be overcome for the teams to bring it to life. This design is by far the largest Do LaB structure built to date at approximately 50,000 square feet. 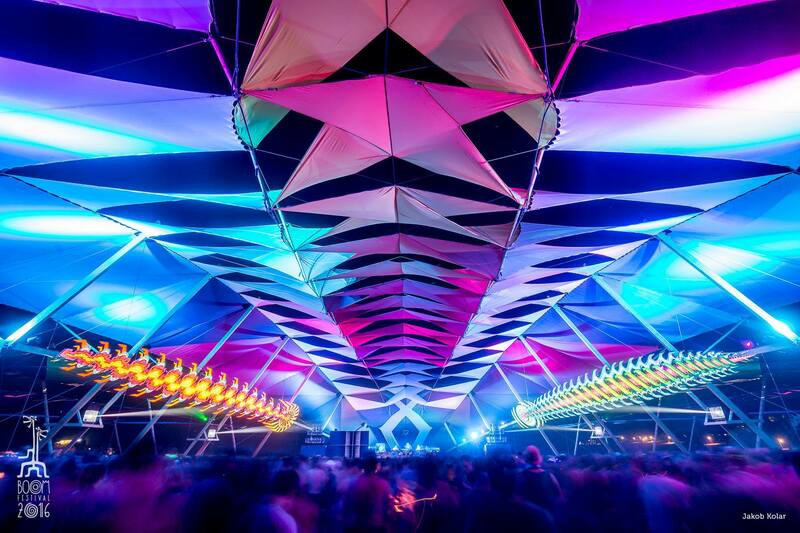 Two and a half Big Fishes, our recent installation at Coachella, can fit inside of this one. “From our initial meeting with Boom and Funktion One, we all decided that the main goal was to create a dance floor with no obstructions from columns or any other object so the sound would be pure,” described Josh. The design incorporated an open dance floor of 145 x 255ft and the entire structure was 255 x 255 x 55ft. 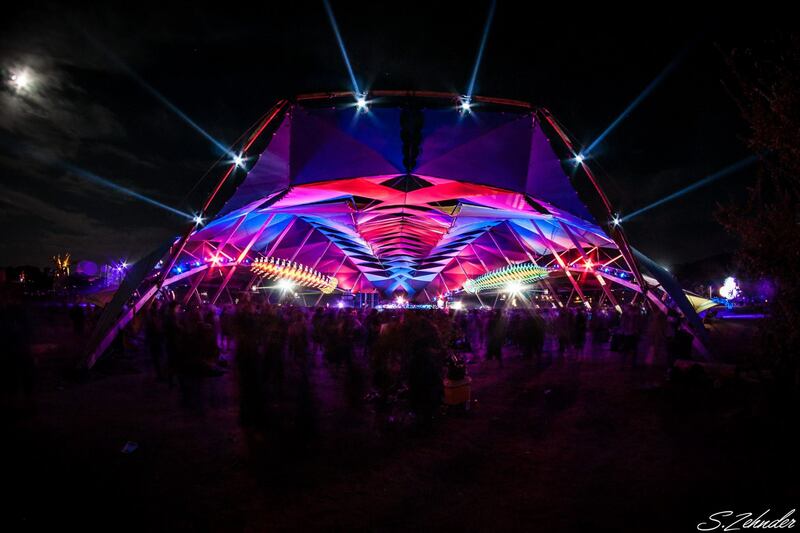 For more on our incredible structures check out the design section of our website.